(Italian) Did you know that in 1912 a Silver Ghost took part in the second edition of the Monte Carlo Rally, gaining fourth place overall, first in class and first in the Concours d’Elegance et Confort, anticipating the better known Alpine Trials and Spanish GP? That car was the first Rolls-Royce ordered, bought, and owned by an Italian. And it started a love affair between the “Best Car In the World” and the country best known for low, red, uncomfortable, and noisy sportscars for middle-aged teenagers. That is the story told by this book. But there is a warning: you will have to learn—or already be able to read and understand—Italian in order to read it. Back in the mid-1980s in Milan, the motoring bookseller-turned-publisher Giorgio Nada decided to publish a book on Rolls-Royce and Bentley motorcars for the his market. In that car-crazy country quite a few people were interested in these British marques but lacked the language skills needed to appreciate the existing books as most all were in English. Searching for a book that covered, with a broad brush, the history of the two brands and also gave details of the various models produced, Nada ended up buying the rights for a book originally published in 1988 in German by Halwart Schrader. 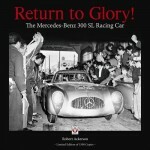 Encountering difficulties with the translation and editing of the book, he contacted his best customer for Rolls-Royce books, a chap who himself had purchased his first books when only 15 years old but who had gone on collecting books, memorabilia and a few cars as well. That person, Marco Makaus, had already translated and edited several Jaguar books for Nada. Makaus worked hard on the Schrader book, adding information to some sketchy bits and inserting additional details making the Italian version, published in 1989, more complete than the German and English ones. 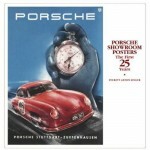 As the 1989 edition had long been out of print, Nada decided to publish a new one as certainly changes had occurred, including the separation of the Rolls-Royce and Bentley marques and new ownership of each by two different German automotive groups, plus the successful launch of new products. Meantime Marco Makaus too had embarked upon new ventures in the automotive industry. Since 2004 he had been working for Rolls-Royce, first as European regional director and was now running the two Italian dealerships. 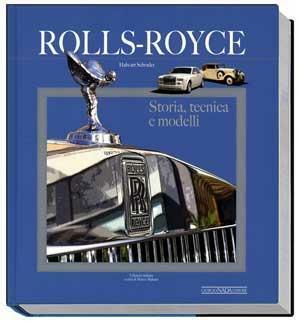 Nada approached him about the new book and he accepted on the condition that he be allowed to develop new material, and tell the story of the relationship between Rolls-Royce and Italy. The new book starts with an analysis of the first Italian Rolls-Royce customers, and the impact the cars had on the upper class of the prewar years. Next attention turns to the work of Italian coachbuilders on Rolls-Royce chassis. The book is enriched by sections telling of the lesser-known aspects of Rolls-Royce history, such as the Founders, the aero engines, and the Schneider Cup, the Rolls-Royce-powered record cars and boats, the industrial engines and other products. 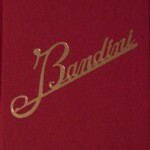 The events of 1998-2000, when Vickers divested itself of Rolls-Royce and Bentley and VW and BMW divided them, based on Makaus’s industry knowledge and his complete collection of press clippings of the period, throws light on the industry’s personalities and power games that are generally hidden from view. The above comprises approximately one-third of the book. The influence of Italian styling—right from the horse’s mouth—has Leonardo Fioravanti, responsible for the relationship between Rolls-Royce and Pininfarina, contributing that chapter on the firm’s seminal, and controversial even now, 1970s Camargue. This edition further benefits from photographs and documents Makaus assembled over the last three decades, many of which show Rolls-Royce motorcars in Italian settings. 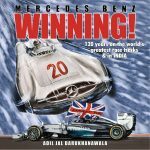 For most the author has been able to identify the cars by chassis number, thanks to the help of books by renowned listologists such as André Blaize, John Fasal, and Bernard King. All models up to the 2009 model year are described. 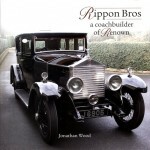 The photos are uniformly well reproduced and supplemented by period ads, coachwork drawings, and press clippings. Appended are listings of the three international Rolls-Royce clubs and a table of retail prices in Italy 1956-1988. Even if you have any of the previous editions of the book in any of the languages in which it appeared, this new Italian edition takes it to a new level. 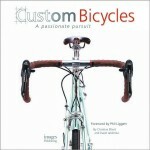 If you don’t know Italian, find yourself a patient Italian-speaking friend or just look at the pictures. They “tell” a slightly different story to the one we are used to. Our Italian-speaking friends, who spent countless evenings looking at books written in a tongue foreign to them, will for once feel vindicated. Copyright 2009, Sabu Advani (speedreaders.info) has adaptated, with permission, this review written for the January/February 2010 The Flying Lady, the periodical of the Rolls-Royce Owners’ Club (RROC/USA), which he edits.